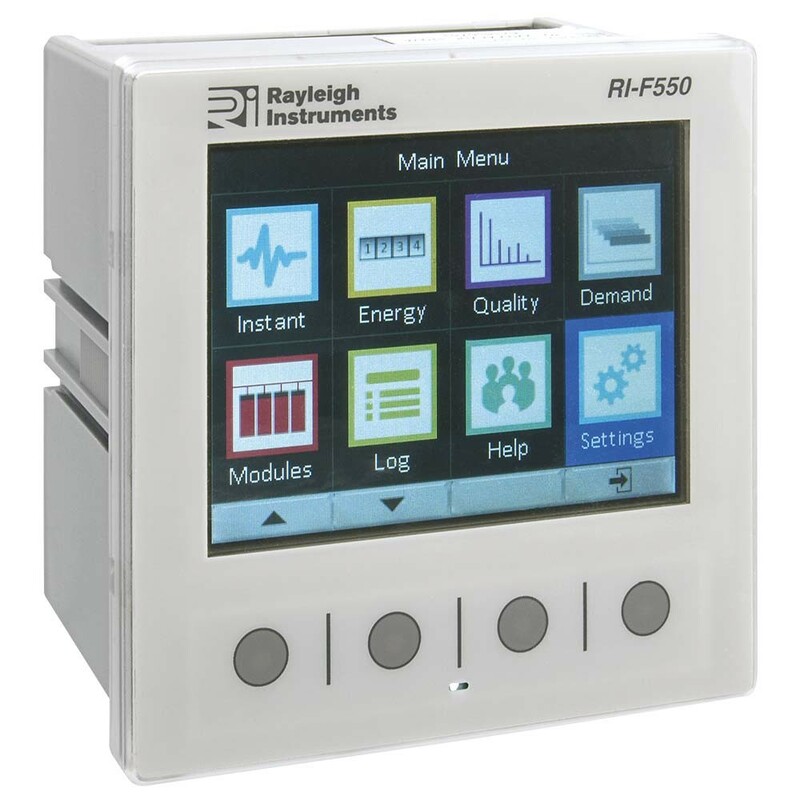 Waveform capture, waveform display, phasor diagrams etc. The RI-F550 Series is an advanced DIN 96 panel mounted multifunction meter with power analyser functions. Suitable for electrical parameter measurement and power quality analysis. The meter has a full colour graphical display which provides clear indication in all light conditions. Up to four plug-in modules can be added which allow the functionality of the meter to be extended with a wide range of both inputs and outputs. This enables full system integration with smart electricity distribution apparatus and energy management systems. Quick select 'touch' buttons on the front of the meter allow the user fast access to the display page required. In addition to these core features the meters functionality can be expanded by the use of plug-in modules. 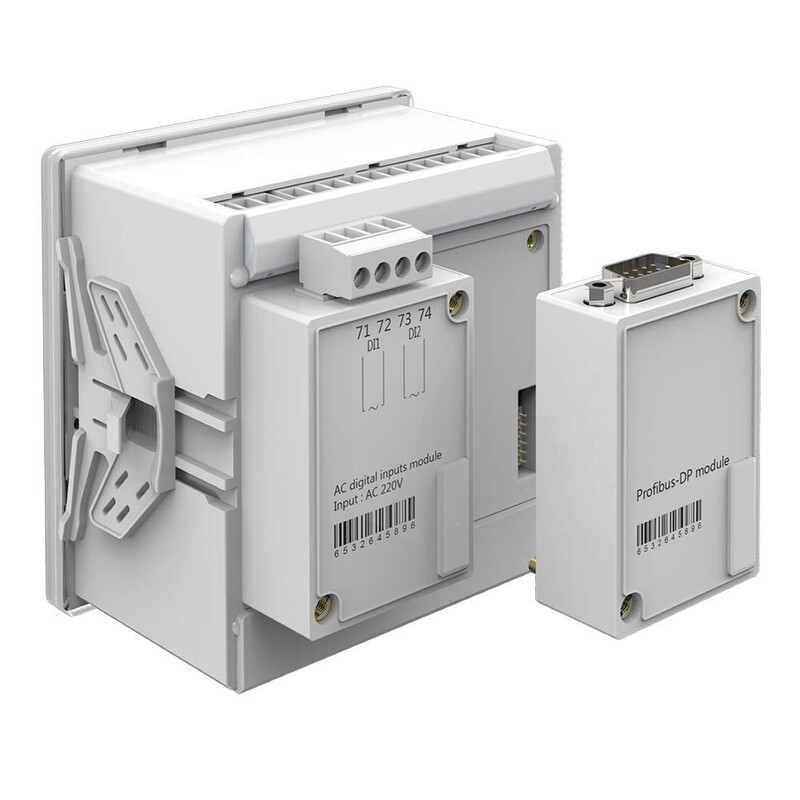 The RI-F550 Series are provided with two connection points, each of which can accommodate two extension modules. This means that up to four modules may be connected per meter.